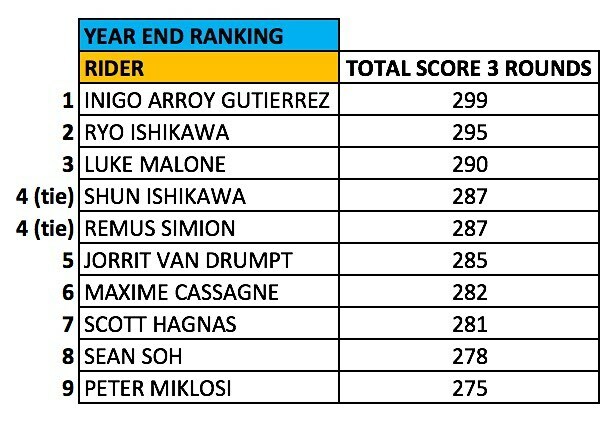 This entry was posted in News and tagged Inigo Arroyo Guterrez wins Round 3 of the AM Master of Creativity and the 2018 Year end title by Effraim. Bookmark the permalink. 2019 gonna be inigo’s year. Send him to Colorado! Agreed with Morgan …..TIMES 7 ! Congrats Inigo ! Damn…. M.O.C. 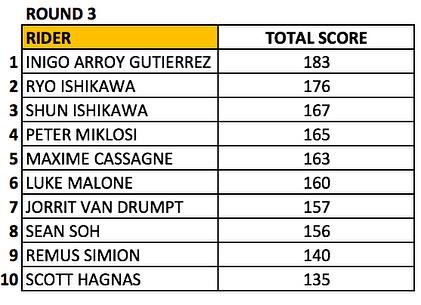 REALLY slaaaammmmm dozered yet ….AGAIN this year , EVERY rider shredded / worked hard to bring flatland up multiple notches in originality / creativeness ! THANKS M.O.C. !